There is no free lunch and anything comes at a price. This appears to be true especially for Sony gear, always hyped and most of the time only because of the specifications sheets. 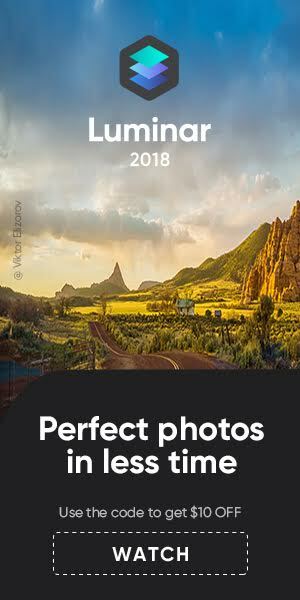 DPReview wanted to know better. They put the Sony a9 on their test bench, and found some interesting things. So, how does the powerhouse a9 perform when it comes to ISO-invariance (what is it?) and dynamic range. 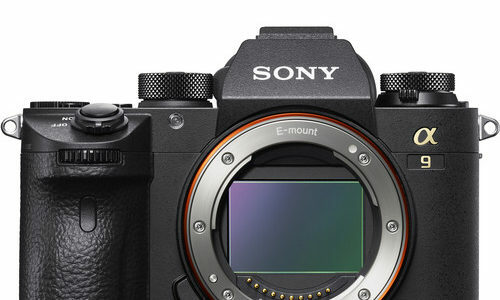 DPReview found out that the Sony a9 is not ISO-invariant, and that “the camera is adding a fair amount of read noise that results in noisy shadows, limiting dynamic range at base ISO“. 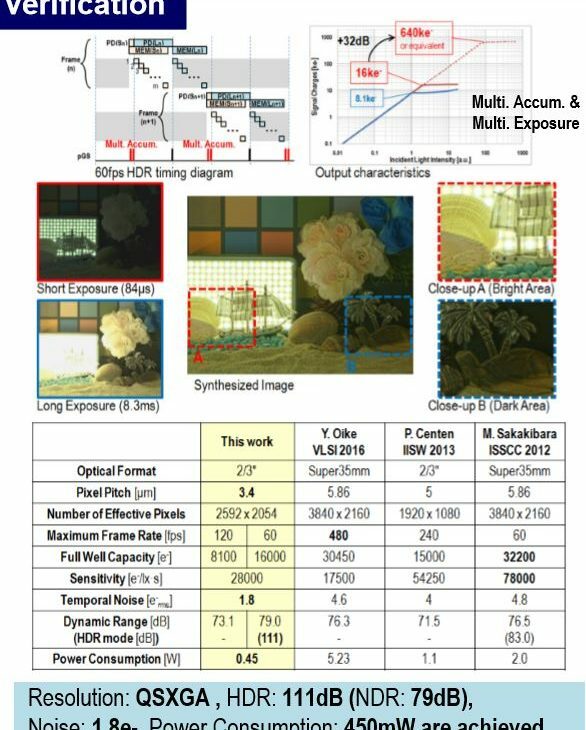 They also found that the Sony A9 sensor “was likely optimized for speed at the expense of low ISO dynamic range“. What does all this mean? 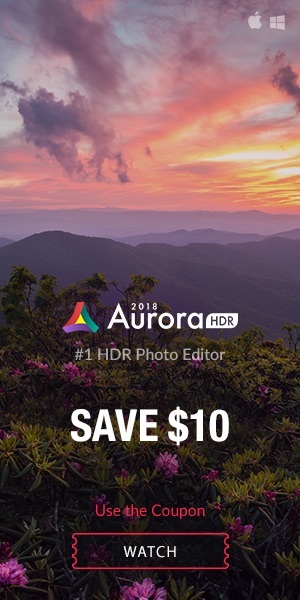 According to DPReview “this limits the exposure latitude of a9 Raws, so you’ll have some limited ability to expose high contrast scenes for the highlights, then tonemap (raise) shadows in post“. All that glitters is not gold. Read DPReview’s in-depth analysis. The Canon Digital Learning Center posted a new article about the company’s proprietary Dual Pixel Auto-Focus (DPAF) technology. Dual Pixel AF was first introduced with the Canon EOS 70D, and has since then found its way to high end Canon Cine products and pro and semi-pro DSLRs, as well as into a mirrorless camera (well, eventually). Dual Pixel AF is a game changer and an industry’s exclusive you get only with Canon cameras. Put simply, Dual Pixel AF takes autofocus to the next level. It provides both smooth and consistent focus for a wide range of photo and video applications. 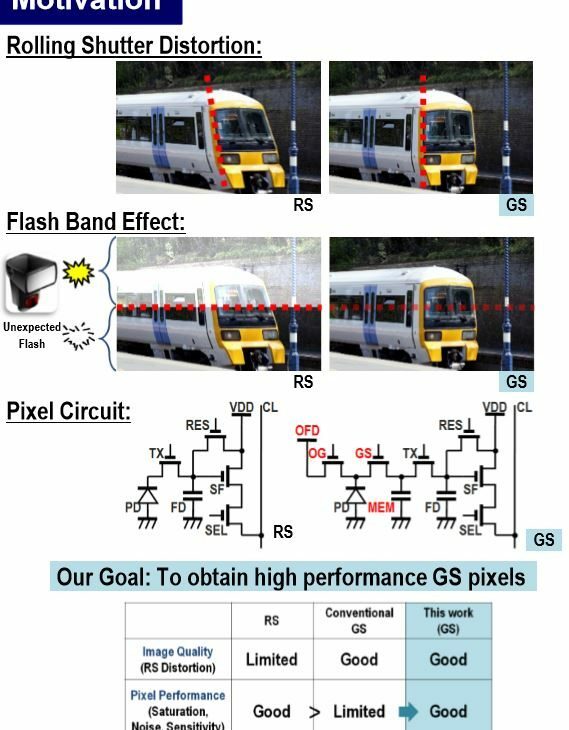 Each pixel on the CMOS imaging sensor has two separate, light-sensitive photodiodes, which convert light into an electronic signal. 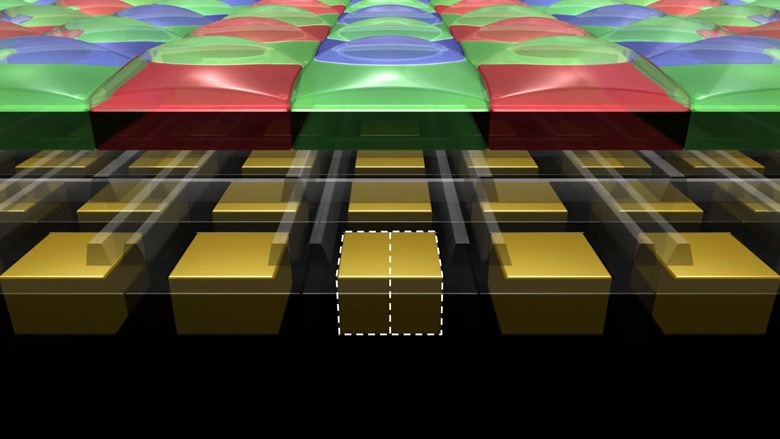 Independently, each half of a pixel detects light through separate micro lenses, atop each pixel. During AF detection, the two halves of each pixel — the two photodiodes — send separate signals, which are analyzed for focus information. Then, an instant later when an actual image or video frame is recorded, the two separate signals from each pixel are combined into one single one, for image capturing purposes. This greatly improves AF speed over the majority of the area on which you’re focusing. The result is phase-detection autofocus, which surveys the scene and recognizes not only whether a subject is in focus or not, but in which direction (near or far), and by how much. If you want to learn more about Dual Pixel AF, head over to the Canon Digital Learning Center. Some educational videos about Dual Pixel AF can be found here. 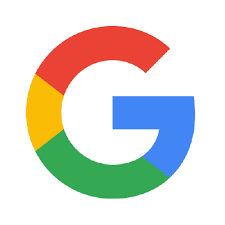 Google developed Guetzli, a new JPEG encoding algorithm. What’s special with it? The algorithm, which btw is open source, is able to compress a JPG file without loss of image quality and to cut its size by 35% (again: it’s lossless). It’s easy to figure out how big of an impact this will make for the Internet. The algorithm may literally reduce the size of the Internet, and that’s no joke. You may try out Guetzli on your own, it’s free and available on GitHub. It’s compatible with all browsers and image processing applications, and obviously it’s compatible with the JPEG standard. What about the name? You’ve seen above that it is Swiss German for cookie. The project was born out of Google Research’s Zurich office. I reported previously about a global shutter sensor Canon is researching and developing. This sensor made it into the news again. 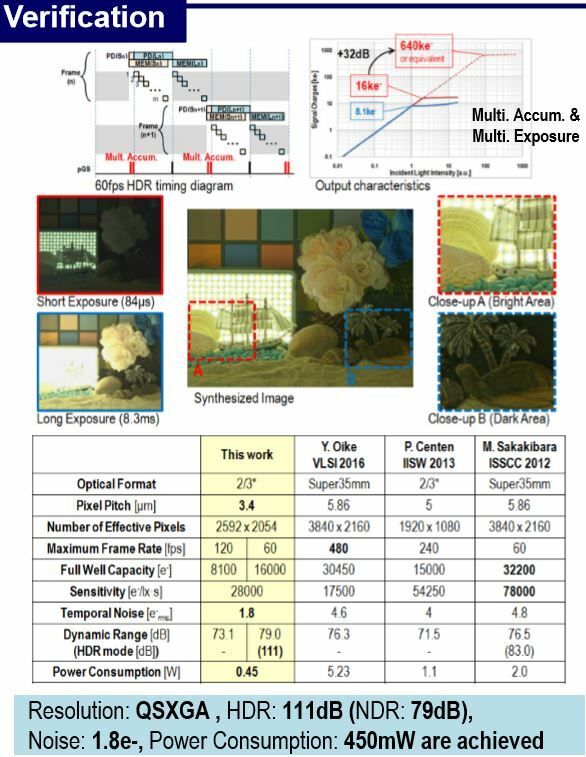 Nikkei Technology reports about the Canon 2/3″ sensor with global shutter and wide dynamic range, which was first presented at ISSCC 2017. Through […] improvements, Canon doubled the saturated amount of electric charge and widened dynamic range. Specifically, it increased the saturated amount of electric charge from 8,100 electrons with a frame rate of 120fps to 16,200 electrons with a frame rate of 60fps. The dark temporal noise of the new sensor is 1.8 electronsrms. As a result, its dynamic range is 79dB with a frame rate of 60fps and reaches 111dB when HDR is applied. Well let’s hope we see such a sensor in a Canon DSLR soon. Besides this utopian wishes, this is another report that shows Canon’s commitment to develop innovative sensor technology. The slides below are from the ISSCC 2017 presentation. 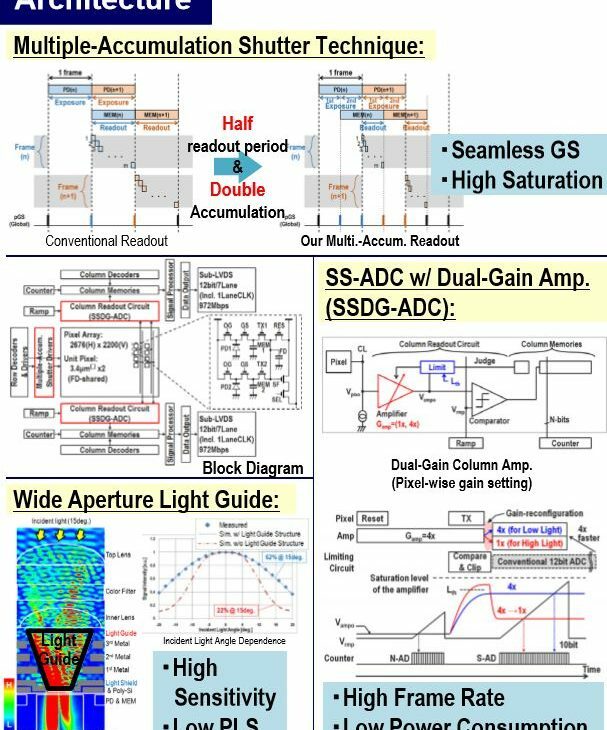 It’s safe to assume that Dual Pixel AF (DPAF) has now become Canon’s standard on-sensor auto-focusing technology. Since it made it into a Rebel, it will be featured on almost any future Canon DSLR and MILC (and who knows…maybe also in some high-end PowerShots). Dual Pixel AF debuted in July 2013 (press release), on the still noteworthy Canon EOS 70D. It took Canon a long time to feature it on other cameras, and even longer to put it into a mirrorless camera. The EOS M5 and EOS M6 are the first Canon MILCs to feature it. And hell if it makes a difference on a mirrorless system. If only Canon had used it before on their mirrorless offering. 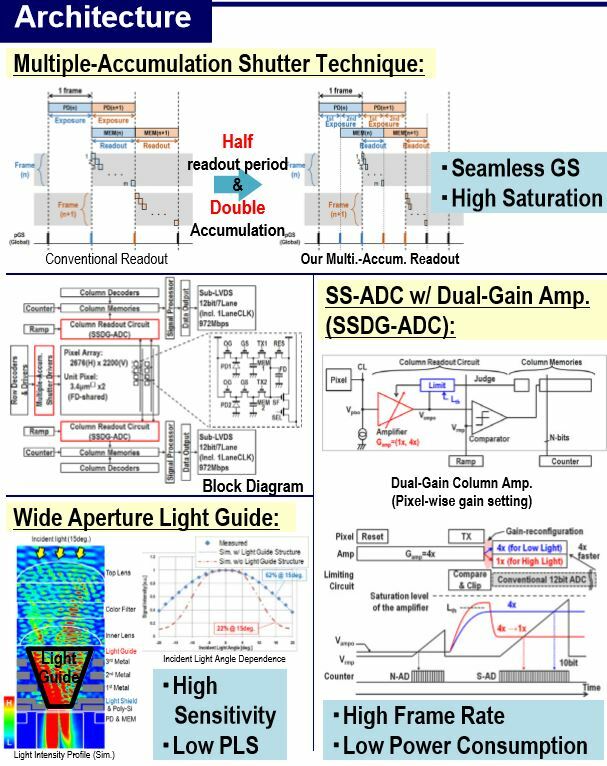 Interesting Canon research paper spotted by Image Sensors World. Canon is working on a 2/3″ sensor with a global shutter. 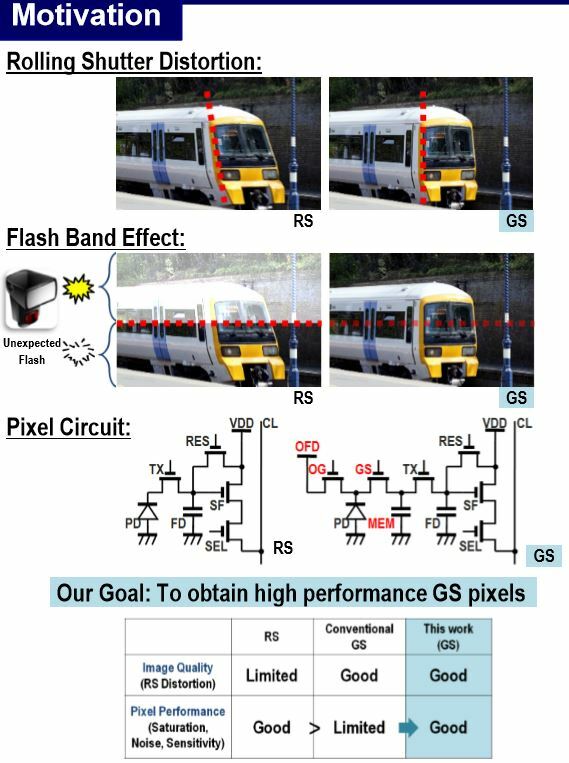 A 1.8e-rms Temporal Noise Over 110dB Dynamic Range 3.4μm Pixel Pitch Global Shutter CMOS Image Sensor with Dual-Gain Amplifiers, SS-ADC and Multiple-Accumulation Shutter, by Masahiro Kobayashi, Yusuke Onuki, Kazunari Kawabata, Hiroshi Sekine,Toshiki Tsuboi, Yasushi Matsuno, Hidekazu Takahashi, Toru Koizumi, Katsuhito Sakurai, Hiroshi Yuzurihara, Shunsuke Inoue, Takeshi Ichikawa at ISSCC 2017 on Feb. 6, 2017. […] the presented sensor has a funnel-shaped light guide structure above the pixels, an optimized light shield to keep the PLS low. To enhance the dynamic range of the sensor, the columns are provided with a gain stage that automatically choses between a gain of 1x or 4x. With some clever timing of the transfer of the PPD and with an increased readout speed of the sensor, extra new option can be added, such as wider dynamic range and in-pixel coded exposure. Below are some slides from the paper presentation.